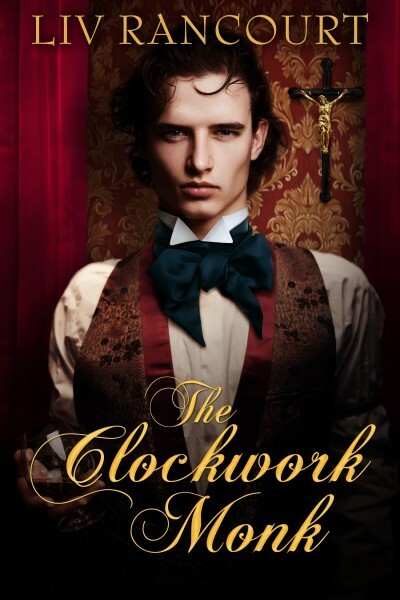 The Clockwork Monk is a mystery the President herself asks Trevor to solve. She wants it, and Trevor’s her spy. An encoded message leads him to the residence of the Archbishop of Chicago, where his undercover role allows him to indulge in fine waistcoats and fancy cravats. Even better, he enjoys the thrill of dodging anarchists and propriety while engaging in a duel of secrets with the mysterious Father Stephen. The good Father doesn't act like a priest. Hell, Stephen may not be his real name. His broad shoulders and dark eyes are intriguing, and though Stephen’s clandestine agenda clashes with Trevor's, danger just adds to the temptation. Between kisses, Stephen forces Trevor to admit his loyalty goes deeper than cheap excitement, turning a simple burglary into a test of his allegiance.